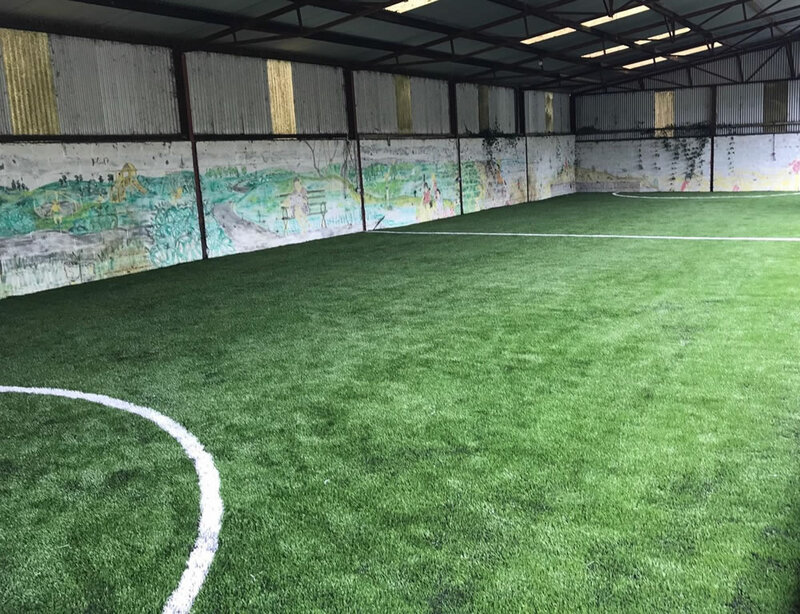 MULTI Use artificial grass is particularly suited to games areas, schools, crēches and playgrounds and doesn’t need to be regularly maintained. With split fibre technology the grass is incredibly durable and hard wearing making it the ideal solution for high use games areas. Our installed artificial grass comes with excellent drainage so the days of muddy footprints will be a thing of the past. Sand infill is required for stability and its durability ensures that it will last for years making it a very sensible investment. A shock pad underlay system can be added to provide additional cushioning and a softer surface making it safer for kids to play on. We can also supply our MULTI Use artificial grass in various colours. 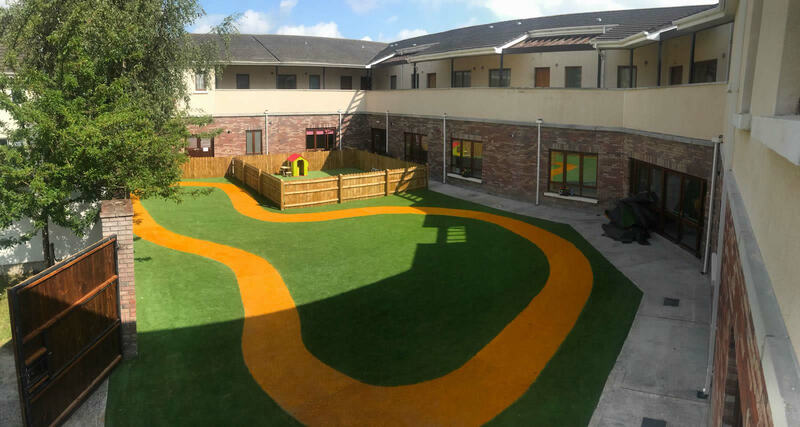 Below is an installation completed by our installation team using yellow MULTI Use artificial grass to create a vibrant, long lasting and safe play area. Our MULTI Use artificial grass is €28 per m2 including VAT for grass only. PST Lawns donate €1 for every m2 of artificial grass that we sell to Barretstown Children’s Charity.